Australia’s Greatest Ever Piece of Furniture Design? 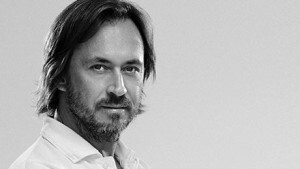 Australian designer Marc Newson has carved out an extraordinary place for himself in the international arena. Often described as the most influential designer of his generation, Newson is a multi-disciplinary designer, working prolifically across the furniture, product and technology sectors. Born in Sydney, Newson’s studio is now based in London. He has received too many awards to count here – from being appointed the Royal Designer for Industry in the UK, to receiving honorary doctorates from the University of Sydney and others around the world. He also recently had the distinction of being awarded a CBE by Queen Elizabeth II. However, it was actually twenty seven years ago, just after graduation, that Newson created one of his most iconic pieces. Having received a grant from the Australia Crafts Council, the young designer set about mounting his first exhibition. As part of this, he created The Lockheed Lounge. It caused a sensation and has become one his signature pieces. Today, it continues to set records for the most expensive piece of furniture ever sold at auction. The Lockheed Lounge is a riveted aluminium and fiberglass chaise longue. It is a triumph of precision and perfection. The Lounge moves beyond both modernist and post-modernist construction and achieves a fluidity that is a triumph of contemporary design on three legs. The name of the Lounge references the famous American airplane manufacturer and it evokes the industrial era while being entirely contemporary. It’s high value is intrinsically wrapped up in its groundbreaking design, as well as its place in popular culture. Ten limited editions of the Lounge were created, each taking over six months to complete. They continue to set records at auction for the most expensive piece sold by a living designer, with the most recent sale by an auction house in London in 2015 going under the hammer for £2,434,500. The Chaise Longue’s iconic status in the Zeitgeist was also bolstered by Madonna featuring it in her 1993 music video for ‘Rain’. Australian product and furniture design continues to go from strength-to-strength, with emerging designers such as Henry Wilson causing a splash in Milan this year and Australian-born Craig Bassam being one part of luxury design powerhouse BassamFellows. The Australian International Furniture Fair (AIFF) is one of the country’s premier platforms for Australian furniture design. The 2018 show will take place from 19 – 22 July at the Melbourne Exhibition Centre, co-located with the Decor + Design show. The VIVID design competition is a feature of both fairs – Australia’s longest running competition that provides a launch space for some of the country’s hottest emerging designers. Subscribe now to receive updates on 2018 exhibitors at AIFF, as well as the Call for Entries for VIVID.